Vocational training in Saudi Arabia is changing. As part of the journey to achieving world-class standards, the Kingdom has been working to create a network of free-to-attend, government vocational colleges which are managed by renowned global training providers, such as Lincoln College. Lincoln College is one of the highest performing, most respected colleges of further education in the UK. Accredited as Outstanding by the UK Government’s Quality Inspector, Ofsted, we have been commended for forming partnerships with local schools and businesses to ensure we best answer the needs of our community and society as a whole. We are committed to bringing this approach to Saudi Arabia. The Lincoln College UK campuses house more than 10,000 students and the College contributes around £185 million to the regional economy. It currently delivers training for 1,200 businesses, assisting them in developing their existing and future workforce. Internationally we have partner colleges in China where around 700 students are studying courses in construction management and accounting. 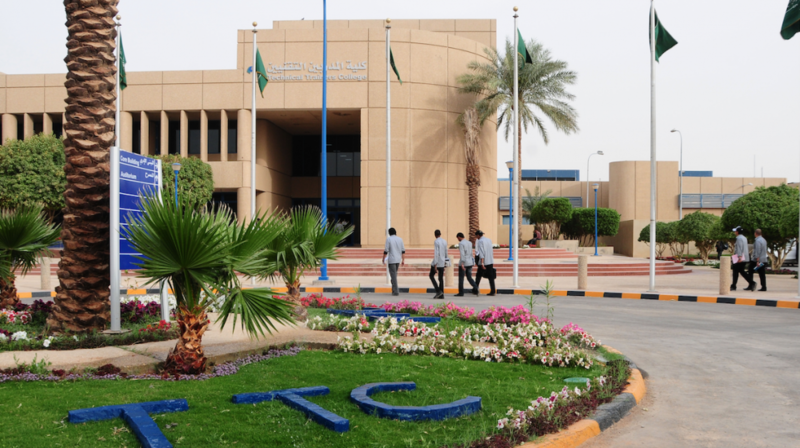 Lincoln College International (LCI) operates and maintains two colleges in Kingdom, the Applied Engineering College, Riyadh, delivering bachelor degrees in engineering to over 1500 male students and the International Technical College Qatief, delivering diploma level studies to over 2000 Saudi females. LCI also conduct a number of special projects across the Kingdom such as the Ministry of Health's English programme Wave 1, which resutled in an 99% achievement rate. When you enrol at one of the Lincoln College in the Kingdom, you will become a Lincoln College student and benefit from all of this respected institution’s UK and international experience and expertise. The qualifications you receive on successful completion of your programme of training will also be internationally recognised by employers giving you a globally recognised signal of your achievement. We understand that world-class education requires world-class teaching. At Lincoln College KSA, students benefit from experienced teachers from the UK, combined with talented Saudi Arabian staff who have been trained to the highest level. This high calibre teaching and support team focuses on bringing out the best in each individual, encouraging you to become expert, independent learners and imparting the skills that are so essential to the future of the Kingdom: Lincoln College KSA graduates will be vital to the Kingdom’s economic growth. Our aim is to produce qualified, well-rounded individuals with the exact skills local employers are looking for, making you an extremely attractive prospect for future employment and, indeed, providing you with the skills to develop your career.